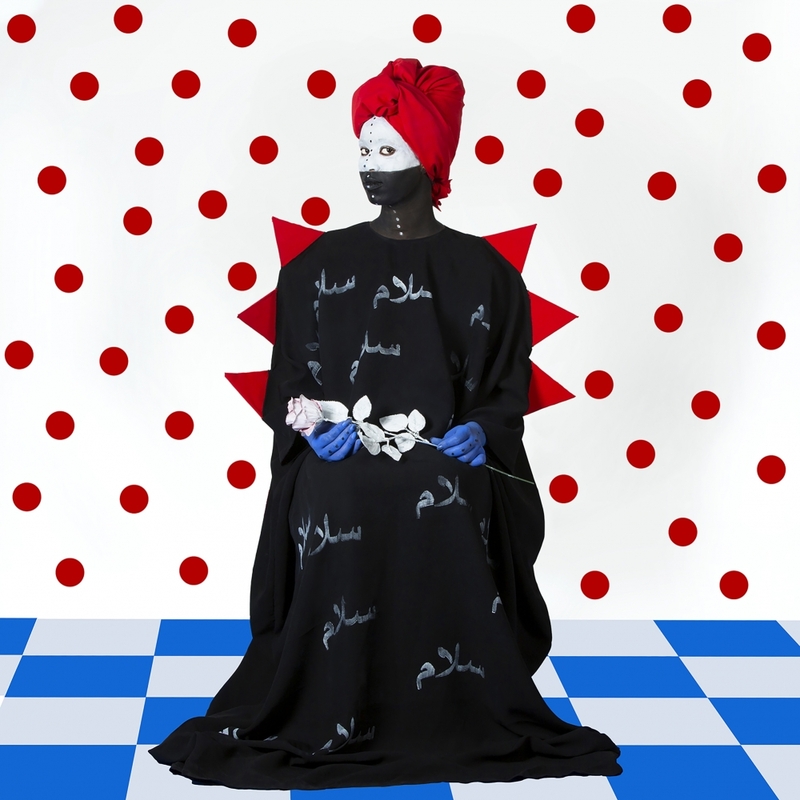 A self-proclaimed “big sci-fi buff,” Ethiopian photographer Aida Muluneh believes in helping build the future of Ethiopia and telling the story of Africa that mass media doesn’t always show. “I am a photojournalist at the end of the day, my main goal is to tell stories,” Muluneh said. Her mother always encouraged her to think about what she could do for her home country. Muluneh ended up going back to Ethiopia, as an adult, to reconnect with a place that was foreign to her. She planned to stay for three months — and has now been living there for over 10 years. In her “Crossroads of Afro-futurism in Fine Art” talk Friday, Muluneh told the story of how she became a photographer and photojournalist, and discussed the influence of Afro-futurism on her own photography. Muluneh said the symbolism in her pieces can sometimes be surprising, as it comes from places both conscious and unconscious. Muluneh often takes inspiration from current events. The two models facing back-to-back in the photo “Both Sides” were inspired by President Trump’s claim in the aftermath of the Charlottesville rallies that “both sides” were to blame for the violence that occurred. The bananas hanging in the background of the photo were inspired by the soccer players of color who took bananas opposing fans threw at them during games and ate them. Photos such as “Seed of the Soul” and “Both Sides” feature models whose facial paint — half one color and half another on either side of a horizontal line right below their noses — is meant to evoke a sense of drowning. Muluneh’s view of Afro-futurism involves not incredibly evolved technology, however, but traditional aspects of African society. “So again, thinking of futuristic elements within the continent, you know most people think of Africa to be primitive,” she said. “I find that their traditional elements can be far more contemporary than the contemporary. In particular, Muluneh cited the Dogon people of Mali, who have a ritual based on a star that no one else can see with the naked eye, hidden in the glare of the bright star Sirius. The people were able to chart the orbit of the star as accurately as modern technology long before that technology existed. Photography students in the College of Liberal Arts praised Muluneh for adding to what they consider an important and necessary dialogue. Molly Phalan, also a graduate student in photography, pointed out that Muluneh’s work is at the forefront of a new wave in culture. For Muluneh, in the end it all comes down to the question of identity.